Last summer I was invited to a wonderful party, a party for revolutionaries. 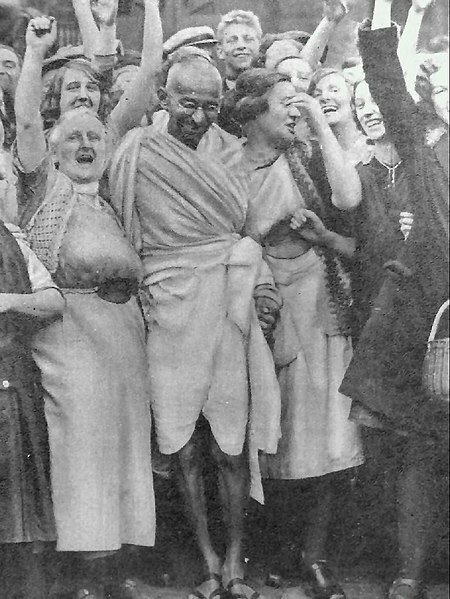 Dressing as Gandhi had great benefits: learning to tie a dhoti, learning to ride a motorbike wearing a dhoti, testing the reactions of supermarket staff to a man wearing nothing but a dhoti, sleeping in only a dhoti, to share my recent reflections on reading Gandhi’s autobiography etc. “Saturday night was great, especially our conversations. David has frequently described the ‘coalition’ (against all things bad / for all things good)….and I wonder if our band of brothers and sisters COULD lead the revolution, the local revolution, the global revolution, each on our own front yet supported be each other? I’m (still) very, very interested in what each of you consider to be the most profound revolutions in our midst right now? Or, revelations in your life? What is the ‘big shift’ that you so dearly desire but perhaps shy to speak of? What simple truth or shift could we support each other to embody in this lifetime? Most definitions characterise revolutions as: radical, complete, sudden change. On Saturday night I characterised revolutionaries as people who were prepared to die, to see thus radical, complete or sudden change happen. Shrinking the scope of the inquiry from societal to personal further, the word ‘revelation’ seems aligned as a ‘personal revolution’ of which I’ve had a few. Some of the ‘revolutions’ closest to my heart, in my lifetime, and which have some wider societal relevance are below. Each is framed as a clear and simple dichotomous change, which is definitely a simplification. But in almost all cases, I had discrete, accute ‘state’ experiences of completely new understanding accompanied by crying, loss, joy or being struck dumb for days or weeks. In almost all cases, giving one’s life for the sake of this change in others, our country or global culture would be a very small price to pay. Just writing this list reminds me of the incredible good fortune I’ve had to be involved in these ‘movements’. And, at the same time reminds me of how little I’ve contributed. There is that perpetual call from our ever-present potential to live a truly remarkable life in service of at least one revolution.